Wow! Three continents, 10 cities, and 22,479 miles since my last update! The last four weeks have been an incredible learning experience and highly productive, not only for share sales, but also in terms of preparing Farmfolio for scale. The journey started with our trip to San Francisco in late May, which was a trip to discuss the state of the organics market with our go-to man Greg Holzman, CEO of Purity Organics. Greg’s outlook remains very positive on the long-term price stability of the organics market. Furthermore, he gave us several new product ideas in which he sees huge upside potential. More importantly, we discussed the possibility of launching a new project and we have agreed to begin due diligence on a few farms. Stay tuned. 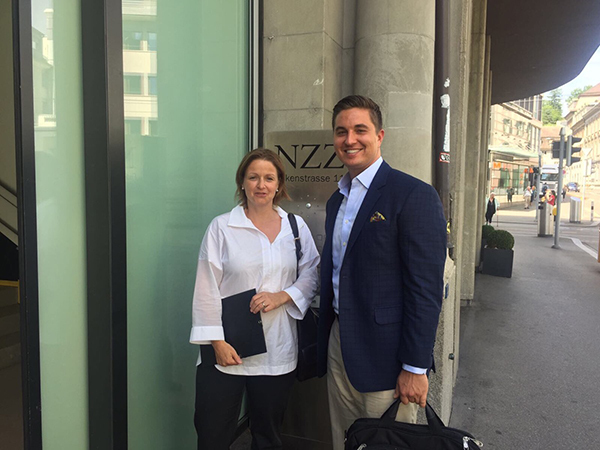 Pietrasanta welcomed investor and advisory board member “Chuck” Chrimes during the first week of June. 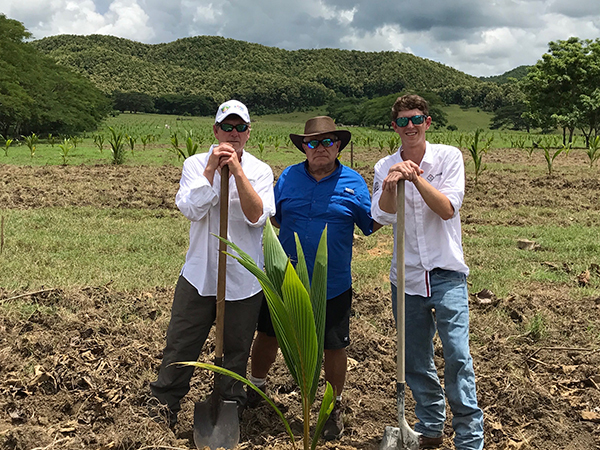 Chuck had the chance to visit several areas of Colombia including Medellin, Cartagena, and of course Monteria. I personally accompanied Chuck out to the farm, which allowed me to get great feedback, not only on the farm experience, but to understand from an investor standpoint how we can improve the user experience going forward. I asked Chuck to put together an honest journal entry based on his visit, which he has agreed to share with all of our readers. Off to Zurich, Switzerland for meetings with our European team! In February, we began preparing to open Europe as a new market for investors. During the last 5 months, we have been gathering interest and investigating the market size and appropriate investor structure in Europe. 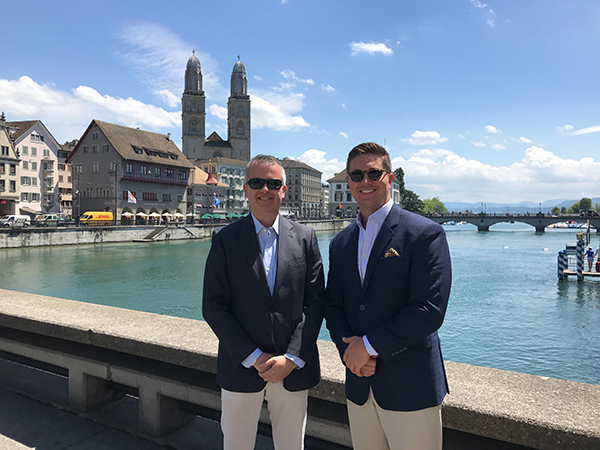 Martin Kleiner and I had a packed week of meetings with Family Offices, Private Equity Funds, investors, and European media. The feedback we received was extremely positive! The concept has wide potential with both individual and institutional investors. We discovered a huge appetite for agriculture as a way to diversify away from traditional markets and assets. Likewise, many of the groups we met with have already made significant investments in the LATAM Agriculture sector. In addition, we have confirmed that the most efficient tax structure would be to set domicile in Luxembourg. During the next several months, we will begin the process of establishing and allotting a minimum number of shares to European efforts. I will continue to update everyone on the status as we get closer to launch. Monteria to Switzerland and back to Monteria. We welcomed the Plott Family this week at the farm. A couple of southern gentlemen with an appetite for adventure! They herded cattle, planted trees, and rode horseback throughout the farm. 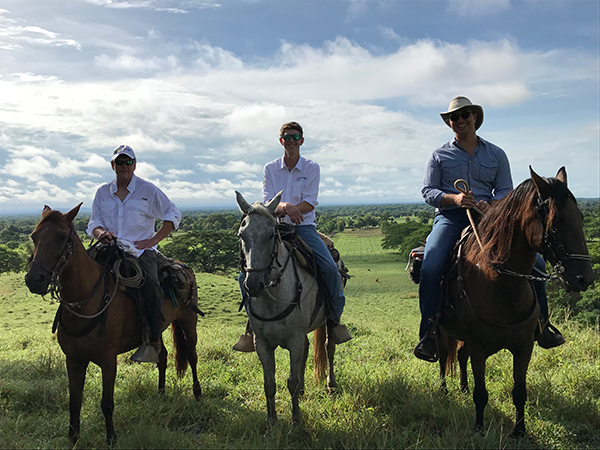 As we near the end of the second quarter, we have been very active scaling the ranch back up to capacity with the wet season in full swing. During the months of April and May, we purchased 1,125 head of cattle. Pricing in Monteria has been very strong this year and our average purchase price this quarter has been 4,850 COP per kilo. We anticipate that prices will continue to rise due to the strong export demand. A full update on the activity will be available on the Aginvestor app as we end the quarter next week. Latin American teak plantations have been expanding and are likely to do so for the foreseeable future. Latin America contains the most certified teak worldwide (over 75% under the Forest Stewardship Council (FSC) scheme). At present, many institutional investors are planting teak on a relatively large scale. As a result, the quality of teak coming from countries like Costa Rica, Panama, and Colombia should increase with commercial management systems. By carrying a certified label, teak from Pietrasanta should be able to access lucrative international markets that are not open to non-certified teak or other tropical hardwoods. New opportunities have also opened in the local markets, which should yield better than expected revenues from teak thinnings. This is why we’ve updated the harvest schedule bringing greater detail to projected volumes in order to build strong relations with both international and local buyers. Below is a projection on the volumes we expect to harvest over the coming years. Teak, being one of the principal tropical plantation species and known for its resistant properties is very likely to continue ranking top in timber markets for years to come. We remain very positive about the projected revenues and continue to make way forward with the help of experts in this market, more to come soon. The newly purchased seeds in the nursery are not so new anymore and the germination rates are holding around 70%, just as we anticipated. We are currently making land preparations in order to transplant the next batch of 26,000 seed to their permanent homes in August.